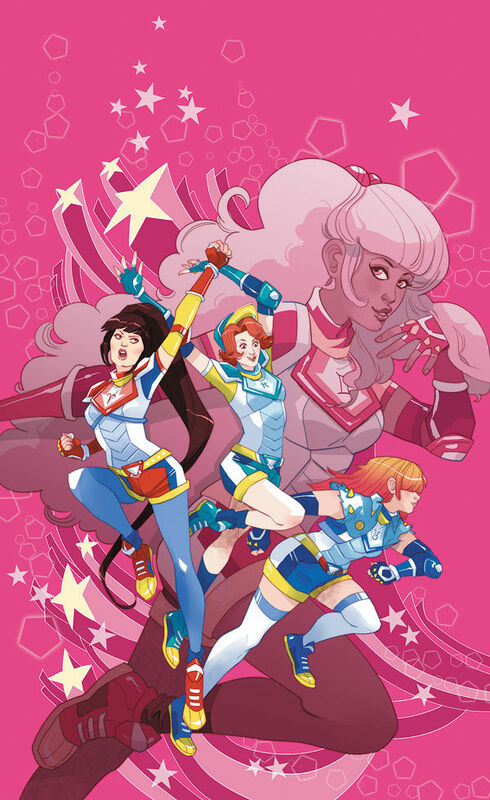 Nerdy Show –A Magical Girl Must-Read: Zodiac Starforce #1! The Whole Story: We all know the formula for magical girl material: normal girls gets magical powers, battles against forces of evil while balancing life as your average middle or high-school student. While we love the genre, we can basically predict the plot of any story arc. Our heroines are also relatable: Panetta goes deeper than the standard, oh-no-I-have-to-fight-a-monster-and-pass-Chemistry magical girl problems. Take Savi, who appears to be dating a douche, but still makes excuses for being with him. Almost everyone has been there; present author included. Continuing on the realism spectrum, the team doesn’t shy away from the dark side of busting baddies. While many magical girl mediums gloss over the fact that the bad guys are, well, bad – Starforce faces the issue head on. We don’t know much about the team’s first battle, but we know people died. And we know it’s had a psychological impact on some of the girls. Though if there’s one gripe I have with the series so far, it’s that the story moves too fast. The characters keep referencing past battles and the day they got their powers, but we as readers don’t know anything about it. While I’m sure it’ll get filled in later, it does at times feel like we’re coming in at season 2 but can’t go back and binge on season 1. 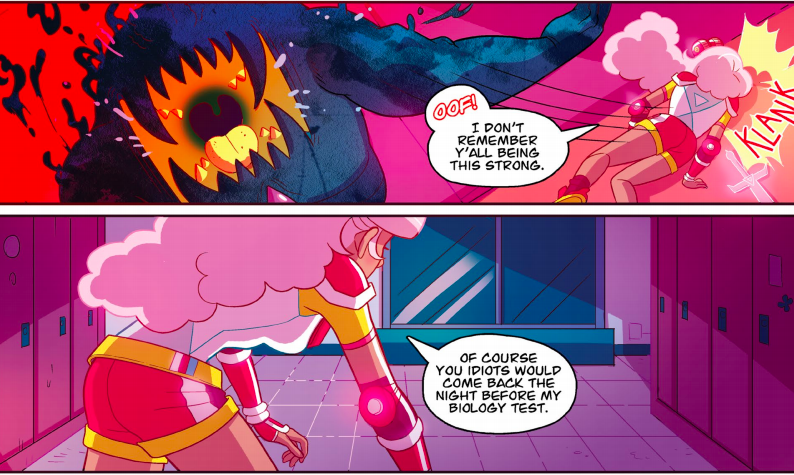 Despite that, Zodiac Starforce is an engrossing read and leaves you wanting more, so be sure to pick up issue 1 at your local comic book shop on August 26.